Chimney Waterproofing – signs you may need it. OUR MAIN PRIORITIES ARE THE RELIABILITY OF OUR SERVICE, SAFETY OF YOUR HOME, AND YOUR SATISFACTION WITH THE JOB. 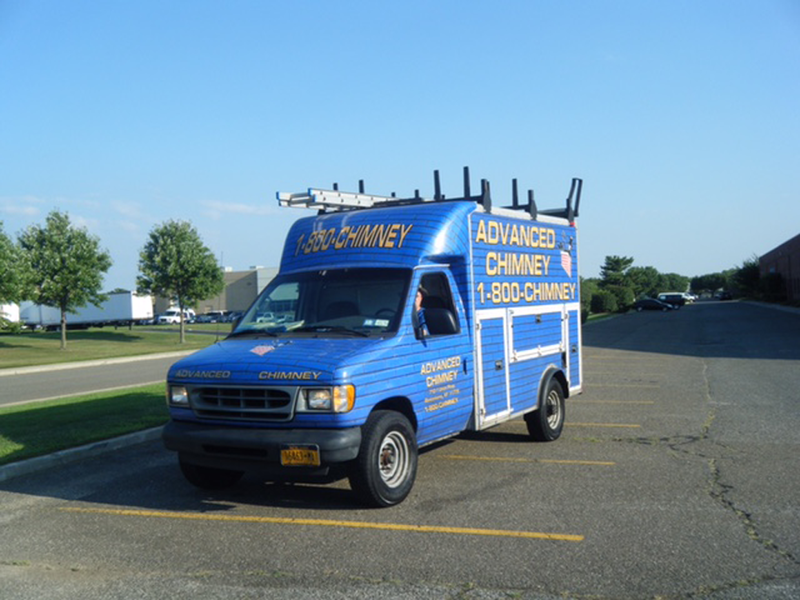 Advanced Chimney Inc. is a reputable Long Island chimney company, with a history of customer satisfaction, the best equipment in the industry, and highly experienced workers who have been with us for years. Our company was founded in 1997 by Michael Steeneck as a small Long Island chimney sweeping business to help him pay for college. His good reputation was quickly established through a combination of the quality work he performed and consistent customer satisfaction. As the business grew, Mike’s brothers and sister joined the company to help out. Since then, our chimney company and number of customers on Long Island, New York City, and upstate New York have only continued to grow, but our values remain the same. We carry out each job with meticulous work, correct safety procedures, and proper communication with our customers. We are also members of the National Fire Protection Association and the National Chimney Sweep Guild, so you can trust that we are a dependable Long Island chimney company. We service and are licensed in the following areas, license information furnished upon request. Over time, a coating of creosote is built up inside of these kinds of Long Island chimneys. If these chimneys are not properly maintained, the creosote develops into a thick glaze that is extremely flammable and difficult to remove. Because it is so thick, it can only be removed by multiple chemical treatments, which can be costly and take multiple visits. Avoid this scenario by servicing your Long Island chimney and fireplace once a year. While burning, these chimneys tend to create soot and clay from the lining over a period of time. When they’re not properly cleaned, the soot and clay will continue to build up and fall to the base of the chimney. They will also eventually block your Long Island chimney from pulling the necessary fumes it needs from the burner. The end result is carbon monoxide possibly entering your home. Keep your family safe from this deadly chemical by making sure your chimney is cleaned annually. Unfortunately, gas chimneys have the potential to be more dangerous than wood or oil chimneys. A gas chimney on Long Island is easier to block, especially if they have an older terra cotta liner that cracks and flakes. This blockage can become deadly, because it creates a backup of carbon monoxide fumes that will enter your home. Carbon monoxide has no smell to it, which makes it hard to detect and puts your home in danger. Avoid any deadly gases from flowing into your home with our Long Island chimney cleaning services. Why is it important to use a CSIA certified company? The Chimney Safety Institute of America is the only national certification program for verifying the best work and procedures in chimney and fire safety. Any business that carries this certification sets them apart from other chimney companies, due to its guarantee of excellence. Because this certification is reviewed annually, any business that holds it continually practices the correct safety procedures. In accordance with the CSIA’s policies, we always have at least one certified professional working on or supervising the job site. Why should you use Advanced Chimney Inc.? We are a fully licensed and insured Long Island chimney company, and also backed by our memberships with the National Fire Protection Agency and the National Chimney Sweep Guild. We strive to build customer relationships that last a lifetime with our courteous staff and consistently high quality work. In addition, we also service New York City as well as many counties in upstate New York. Feel free to contact us if you need more information or you would like our service. A leader in Long Island Chimney Repair, Advanced Chimney Inc. offers professional quality chimney cleaning, repair, and sweeping. Call us at 1-800-640-3583. Proudly Serving these locations and many more!